Ensayos. Jorge Luis Borges. Ed. Daniel Balderston and María Celeste Martín. This book includes facsimile images of five Borges essays, with an introduction by Daniel Balderston. Each essay is accompanied by a typographical transcription, an introduction and a commentary. Prepared with Mariana Di Ció and María Celeste Martín. 164 pages. Borges' s texts continue to travel around the world; they have been translated into several languages and continue to fascinate and fertilize world literature. Few writings have inspired so many writers and critics in all disciplinary fields. Borges´s writings have not only constituted an inexhaustible universal inter-text but also give its readers an infinite and constantly renewed pleasure. More than a century after his birth and more than thirty years after his death, this author is more alive than before. His writing becomes the allegory of human thought that, through an elegant language, reflects his thoughts, dreams and emotions. This Argentinean author's literature reflects the complexity of the modern world through brief, concise but profound forms of writing. New review of Alfredo Alonso Estenoz's Borges en Cuba. Estudio de su recepción, by Nancy Calomarde: "Las redes silenciosas del destino cubano de Borges". New review by Daniel Fitzgerald of Borges's Poemas & Prosas Breves (edited by Daniel Balderston and Maria Celeste Martín): "Borderline Borges"
Book presentation and Symposium marking the publication of How Borges Wrote, by Daniel Balderston, Director of the Borges Center and Andrew W. Mellon Professor of Modern Languages at the University of Pittsburgh. The book is published by University of Virginia Press. This book includes facsimile images of twenty Borges poems and short prose pieces, with an introduction by Daniel Balderston and an epilogue by María Celeste Martín. 141 pages. 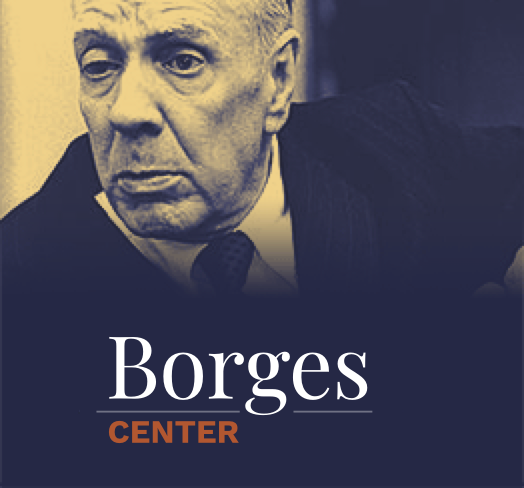 A conference to celebrate the formal agreement for cooperation between the Borges Center and the new Centro Borges de Documentación of the Biblioteca Nacional Mariano Moreno, the Argentine National Library. Reviews on Alfredo Alonso Estenoz, Borges en Cuba. Estudio de su recepción. These are the latest reviews on the Borges Center recent book by Alfredo Alonso Estenoz: Borges en Cuba. Estudio de su recepción. Laura Rosato and Germán Álvarez will present a second edition of the book Borges, libros y lecturas (a catalogue on the writing marginalia and comments Borges did in his personal book collection). The Borges Center published Hidden Pleasures of Borges's Fictions, a selection of Evelyn Fishburn's essays, in 2015. We also host a revised edition of Evelyn Fishburn's A Dictionary of Borges, which is available to download. Just click on this link. Alfredo A. Estenoz, Borges en Cuba. Jorge Guillermo Borges, La senda; Fishburn, Hidden Pleasures of Borges's Fiction; Rosato & Alvarez, Borges, libros y lecturas; Balderston, Innumerables relaciones: cómo leer con Borges; Onetti, Novelas cortas, etc. Symposium on the Reception of Borges with Alberto Rojo, Daniel Balderston, Lies Wijnterp, María Eugenia Mudrovcic, Alfredo Alonso Estenoz, Jorge Schwartz and Susanne Klengel. 8-9 November 2012. Galaxia Borges: Museo de la eternidad. Biblioteca Nacional Mariano Moreno, Buenos Aires.